9. 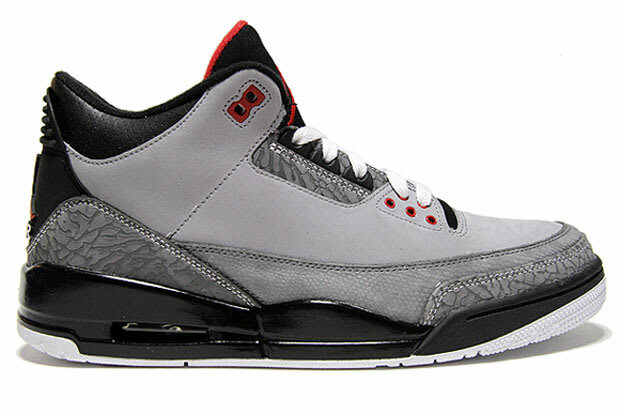 Air Jordan III "Stealth"
Complex says: While quite similar to the "Cool Grey" III, the Air Jordan III "Stealth" used darker tones to make it a little more, um, stealthy. The lizard-print mudguard was a nice touch, too — and the black tongue with the red Jumpman referenced the "Fire Red" Air Jordan Vs. Black laces are recommended.